A triangle is a plane figure that is formed by joining 3 points by 3 straight lines. A plane figure is a flat figure (2D shape). This means it has a height and a length but no thickness. Triangles are all around us in everyday life. It is a fairly simply shape but when made form metal of wood it is strong and rigid and cannot be pushed out of shape. As a result of this they are commonly used in engineering and construction to form a supporting framework for roofs, bridges and many more. In this section we will go into an in-depth look at triangles, from the parts of a triangles to all the different types of triangles and also answer a few basic questions on them. Parts of a Triangle - In this section we will go through the parts of any triangle type in detail. 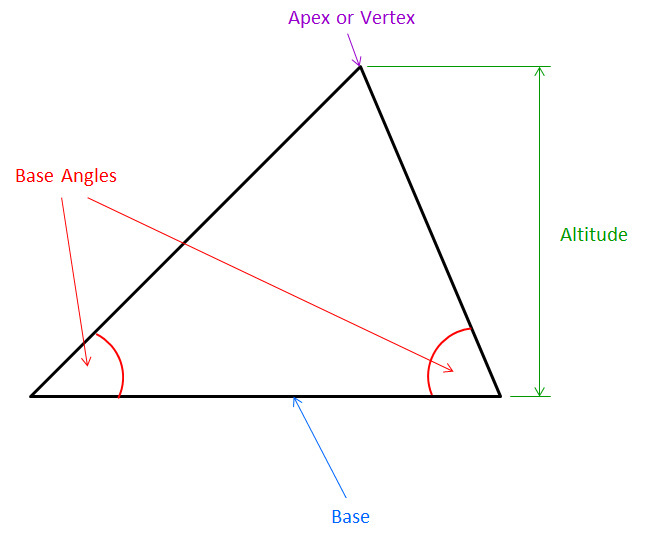 Types of Triangles - In this section we will go through the wide variety of triangle types. We will also go through the properties of each triangle individually. Proving that a Traingle has 180° - We should know that a triangles' interior angles add up to 180° but in this section we will prove that this is true. 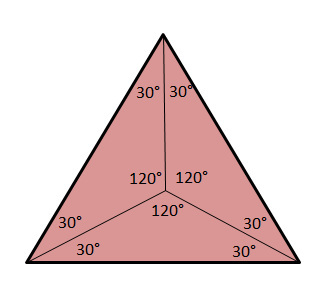 Incentre of a Triangle - Finding the incentre of any triangle is a frequently asked question in Technical Graphics and also in Maths. By finding the incentre of a triangle you are able to draw a circle that will touch off all three sides of that triangle. For more information on how to complete this construction, follow the link directly below. 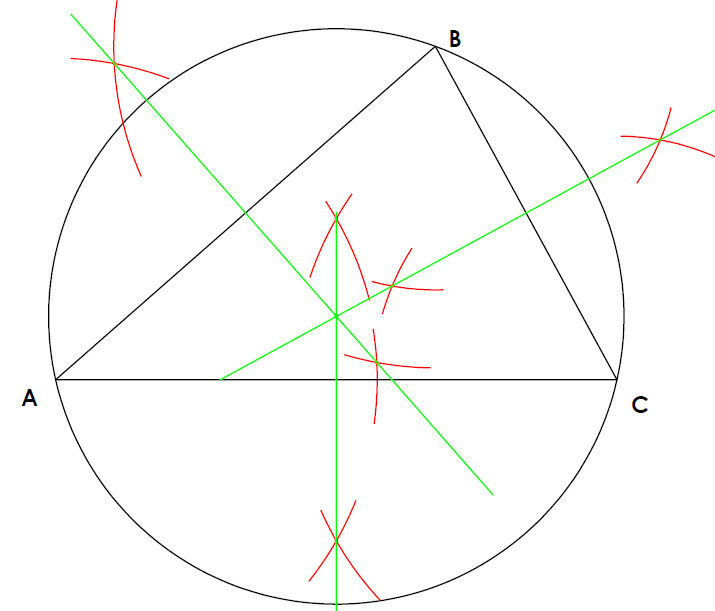 Circumcentre of a Triangle - Finding the circumcentre of any triangle is a frequently asked question in Technical Graphics and also in maths. By finding the circumcentre of a triangle you are able to draw a circle that will touch off all three vertices of that triangle. For more information on how to complete this construction, follow the link directly below. 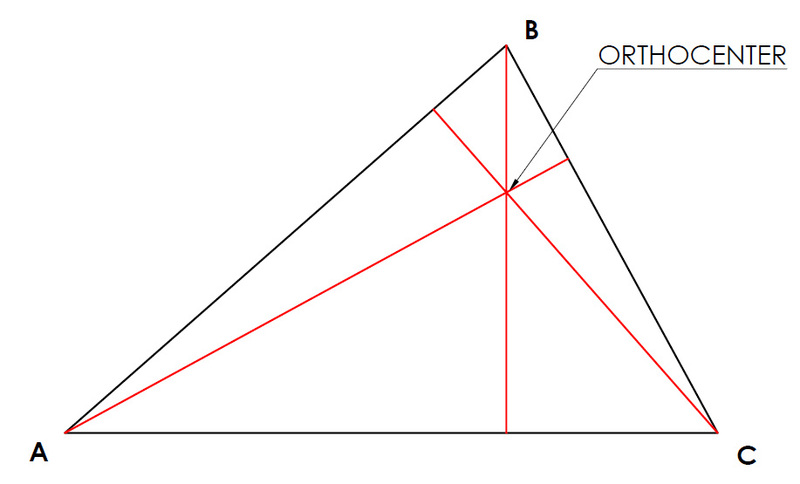 Orthocentre of a Triangle - Finding the orthocentre of any triangle is a frequently asked question in Technical Graphics. For more information on how to complete this construction, follow the link directly below. Centroid of a Triangle - Finding the circumcentre of any triangle is a frequently asked question in Technical Graphics and also in maths. 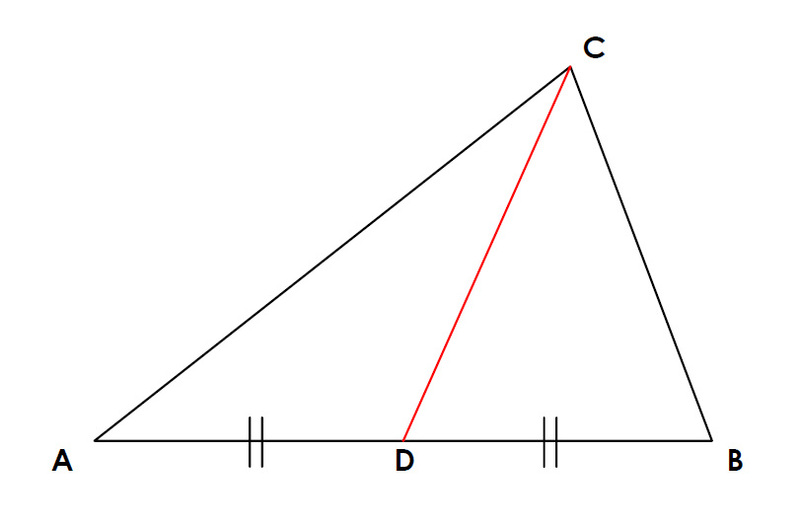 By finding the centroid of a triangle it will also give you the point at which a triangle will balance. (Centre of Gravity.) For more information on how to complete this construction, follow the link directly below. 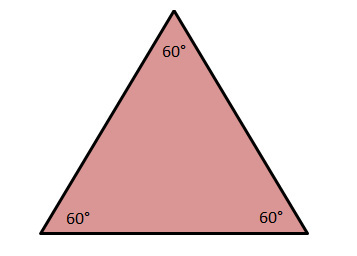 Medians of a Triangle - The median of a triangle is directly linked to the centroid of a triangle. The median is found by joining any vertex to the midpoint of the side opposite. 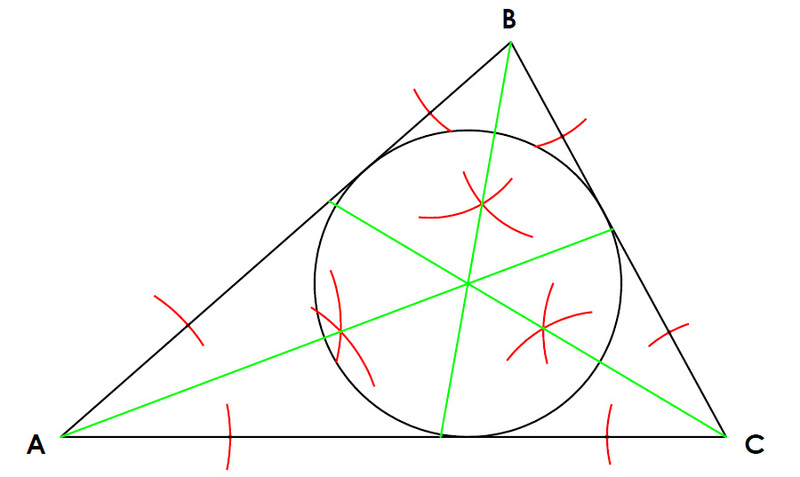 Since there are three vertices, there is in turn three medians of a triangle. The picture on the left shows only one median of the triangle. For more information on how to complete this construction, follow the link directly below. At this stage we have covered all the basic information we need to construct various triangles so if you are confident on all the information covered up until this stage it is time to attempt a few questions. These questions will also incorporate information we learned in all the previous sections of this website.